On this week’s mini episode we re-cap Boy Meets World VS Girl Meets world. We discuss our recent visit to MAPCON, Mid-Atlantic Podcast Convention. Christian discusses audio equipment for all those gear heads out there. 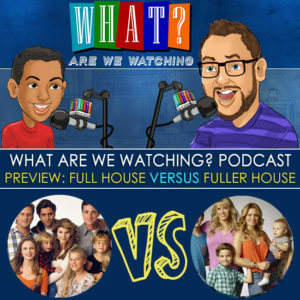 We get a new challenge from Justin and kids from Justin & Sarah Vlogs to watch Full House VS Fuller house in our Retro VS Contemporary Series.